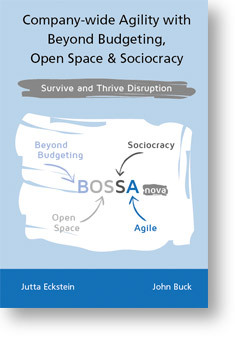 My latest book is published: Company-wide Agility with Beyond Budgeting, Open Space & Sociocracy. Survive & Thrive on Disruption. It is now available as print, ebook, on Leanpub or as audio! Have a look at the website of the book! Ben Linders interviewed us on the book on InfoQ. – Panel discussion on: Business Agility – Agile’s next Frontier? Thoughtleaders both independent and from industry (e.g. Equinor, ING, Spotify, and Ericsson) discuss the timeliness of the Agile Manifesto. The focus of my work is to: Enabling Agile Development on the Organizational Level. I am an experienced independent coach, consultant, and trainer from Braunschweig, Germany, for agile software development. My know-how in agile processes is based on over twenty years experience in project and product development. I am an experienced agile process coach and trainer. I have worked with teams using agile processes successfully on medium-sized to large mission-critical projects. As a coach I’m focusing on the process as well as on the quality and on soft factors like communication. I work also as a facilitator for retrospectives. With retrospectives I help my clients to improve their way of working. I have presented work in my main areas at different European and American conferences. I am a member of the AgileAlliance (I have served the board of directors from 2003-2007), a supporter of the Manifesto for Agile Software Development and a member of several Interest Groups. I am a partner of IT communication. 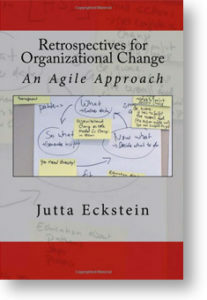 Retrospectives for Organizational Change available on Leanpub and as hard copy! 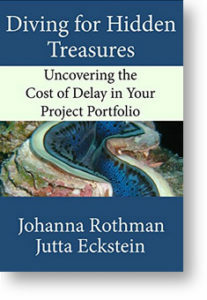 Together with Johanna Rothman I published Diving for Hidden Treasures. The first book I published is called Agile Software Development in the Large, published by Dorset House (find the ebook here). I published my experiences with global agile teams in Agile Software Development with Distributed Teams: Staying Agile in a Global World, by Dorset House (find the ebook here). There are free sample chapters available – if you are interested in challenges in large or in global settings. In the last nominations I’ve been elected into the Top 100 most important persons of the German IT!